One day as I was reading the newspaper, it had an article that covered the lack of opportunities given to the disabled athletes in India. It got me thinking, we have a healthy participation in the Olympics, so what seems to be the stumbling block in this category. I have got to admit, I do have a soft spot for the neglect of our society. They are not given even half a glance and termed as anchors to our overall country’s progress. So it got me lurking around the city, in and around the NGOs to get to the crux of the issue. Someone needed to do it. The more I devoured into the subject, the clearer the thoughts or my perception changed. There are stories of abandonment, homelessness; some are just thrown to the corner of the house, believed to be a curse on the family. On the other hand, there are stories where people have overcome obstacles, difficulties and made a name for them. Deepa Malik is an Arjuna Awardee, who won 12 international medals and was the first Indian woman to win a medal the Para Asian games in Guangzhou, China in 2010. These days she just a common house name, doing chores in her village. The Government promised her a better life, but now shun away the thought of even helping her. I had recently attended an event for the disabled challenged athletes at the Andheri Sports Complex. To my sheer surprise, there was no inequality done to the athletes. An even playing field, where one would treat each other with dignity and a high sense of sportsmanship was practised with great ease. You almost felt, a sense of pride seeing these youngsters actually have a good time. Later I caught hold of one of the participants who was overjoyed stating,”I didn’t come here to win, just got my wish of participating in the 100m was victory itself.” I certainly felt her emotions. She was brimming with confidence. These are people who would travel for hours to realise their dream. Finally would like to end by saying that we should banish our closed mindset and the mistreatment done to disabled people of our country. I am sure we can unearth the next champion or idol of our country with a little bit of positivity and determination. They do need our help. Going or staying? The Ramos saga rumbles on. The transfer window has officially opened across the most of Europe, and the clubs are making additions to their squads for various reasons. Manchester United is back in the Champions League by securing a playoff spot, finishing fourth in the Premier League. With last year’s performance, if anything to go by it, United’s main concern is solidifying their defence. A number of players have been linked with that position. First there was Hummels, then the up and coming Argentine centre-back Nicolas Otamendi from Valencia, a highly regarded and robust defender. Now adding to that list, we have Sergio Ramos of Real Madrid. 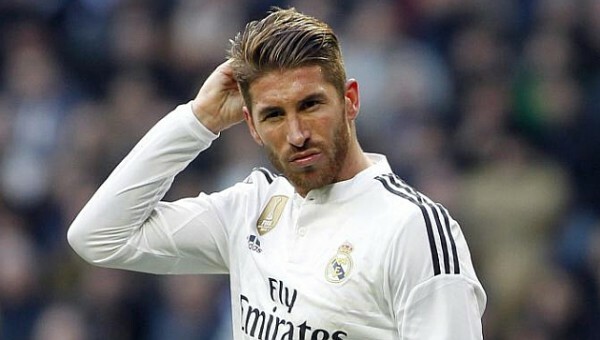 Reports in Spain suggest that Ramos is ready to end 11 years association with the Madrid-based club and jump ship to Manchester United and ply his trade in the EPL. Here is where the things start getting interesting. On one hand United are in the market for a world class defender, on the other side, it could just be a means of getting a fatter pay cheque. It seems Real Madrid is not interested in selling him, but if they do it is not less than a whopping 60 million pounds. The club is reluctant to let him go, but with contract talks breaking down, they fear losing him on a free. Honestly, I believe this deal is far from happening. In recent past, deals between the two powerhouses have is actually the other way round, where a United player would trade his jersey for the royal white of Madrid. The current President, Florentino Perez has stated, the club has approached the representatives of the player to churn out a deal behind closed doors, and talks are ongoing. That’s not the end of it, Real Madrid have made it clear that they would want to replace ageing Iker Casillas with David De Gea.So what’s the next episode in this transfer saga, will Ramos say his goodbyes to a club where he has played most of his football, or will they meet in the middle. What about the future of De Gea? The plot thickens.